Capturing childhood's sweetest memories - that beautiful day spent with Nature all around, and learning respect for our Earth's bounty, caught in a 1927 beautiful crisp black and white rotogravure. 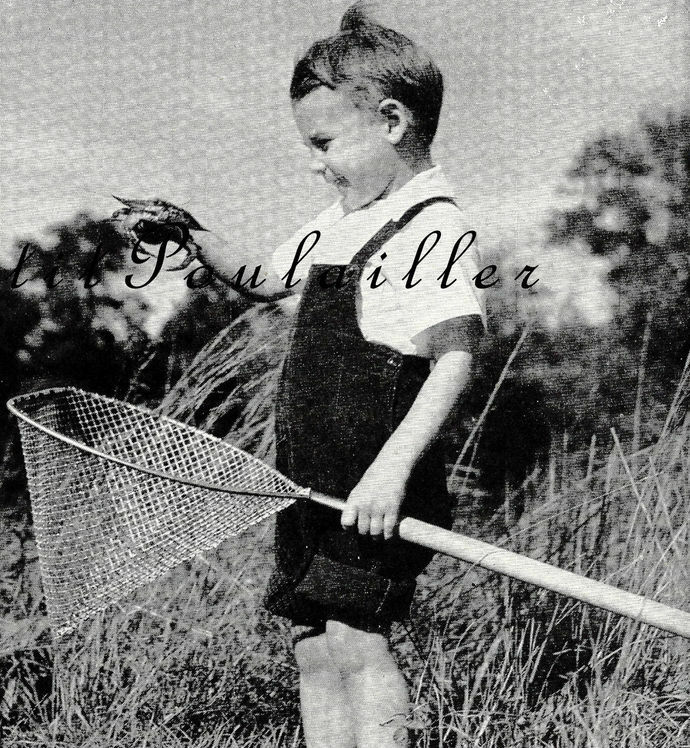 In crisp black and white, the photograph shows the young boy, net in hand, checking out the size of his capture. Overall pants rolled up, crisp white shirt, bare-footed in the sand and grasses, a sweet bowl cut style of the day - precious! 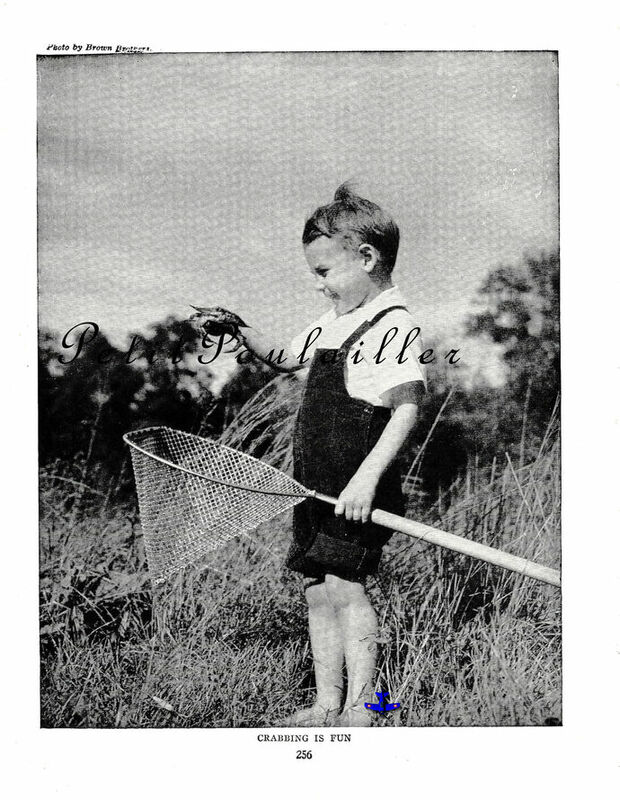 Captioned 'Crabbing Is Fun! 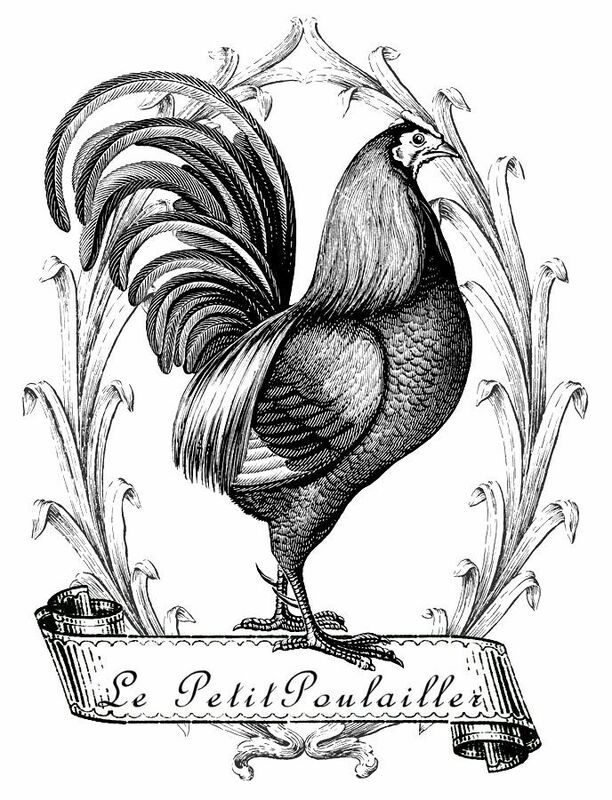 ', the rotogravure is in wonderful condition - no mars or lines to be seen. Perfect for your art, darling to frame! Frame and gift to your beach house hostess, perfect for the bath or pool house ... it's a sweet, timeless image. The heavy paper measures 7" x 9.125 (18x23 cm), shows only light tanning, and there are no tears, folds, creases, or marks.